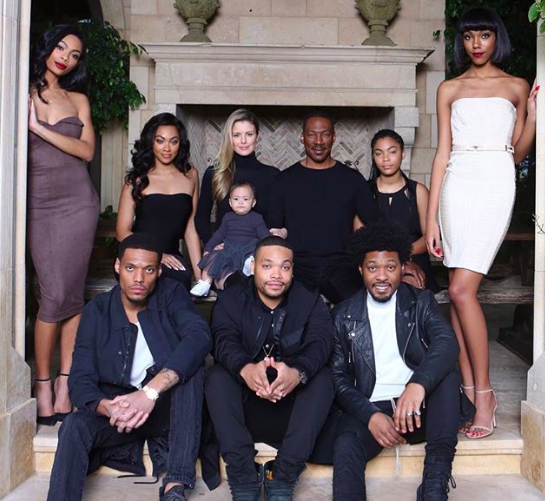 Eddie Murphy is a dad for the 10th time, welcoming his second child with fiancée Paige Butcher on November 30, People.com reports. The couple named their baby boy Max Charles Murphy; he weighed 6 lbs., 11 oz., and measured 19 inches long at birth. Their baby boy’s middle name holds special meaning, as it pays homage to Eddie’s brother, actor Charlie Murphy, who died of leukemia last year. Eddie and Paige are parents to two-year-old Izzy. Eddie is also dad to Eric, 29, Christian, 28, Miles, 25, Bella, 16, Zola, 18, Shayne, 23, Bria, 28, and Angel, 11, from previous relationships.